MuttsWorld: New spawn on Creative! Good evening, afternoon, or morning MuttsWorld! If you haven't already heard, there is a new spawn in creative! 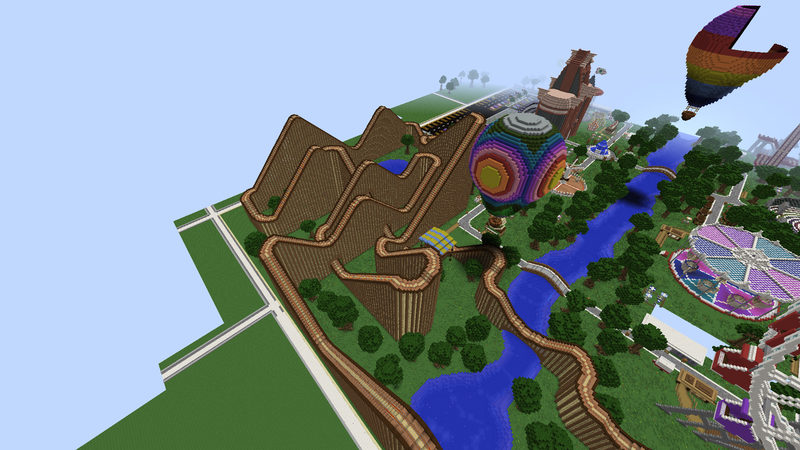 The spawn is a theme park and has many interactive rides and fun decor all around the plot! 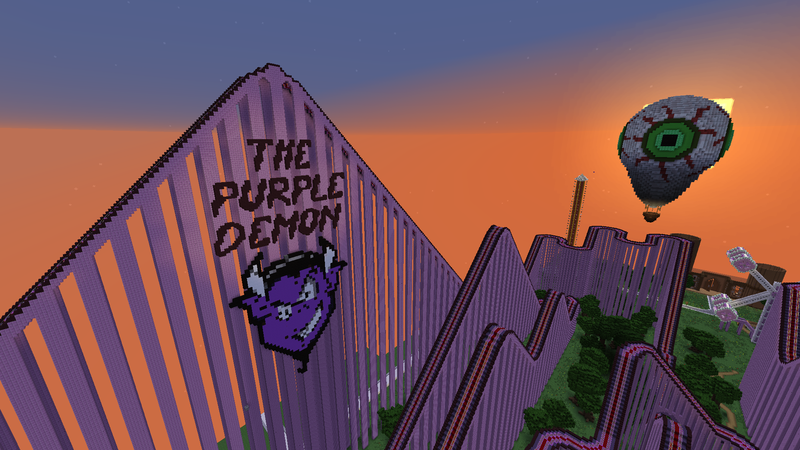 Here are some pictures for those of you who haven't seen the spawn yet.. 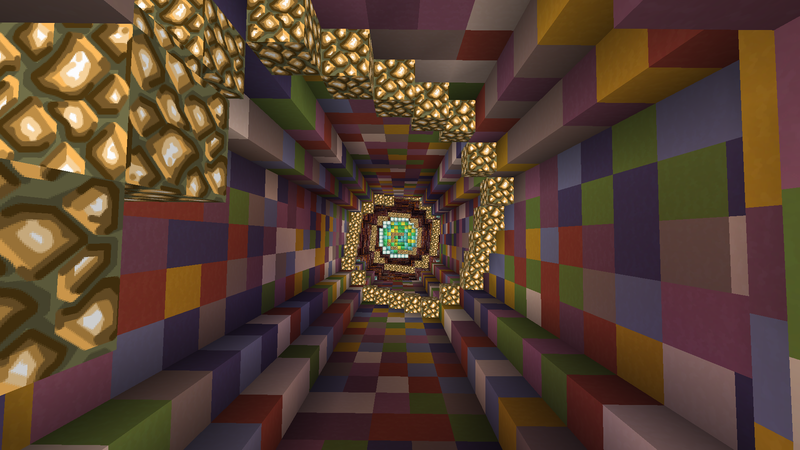 When you first spawn into creative or type /spawn, this is what the view is like. This is one of the two giant roller coasters. This one is longer than the wooden one but still equally fun! One of the two giant roller coasters. This one is located at the bottom left of the plot. 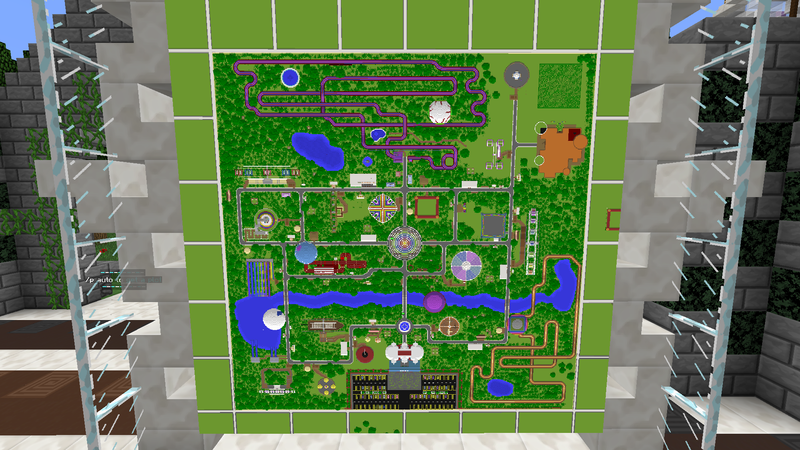 The picture above is a map of the whole park. This is called the free fall, and it is a fun, awesome-looking ride that you drop into from the top. 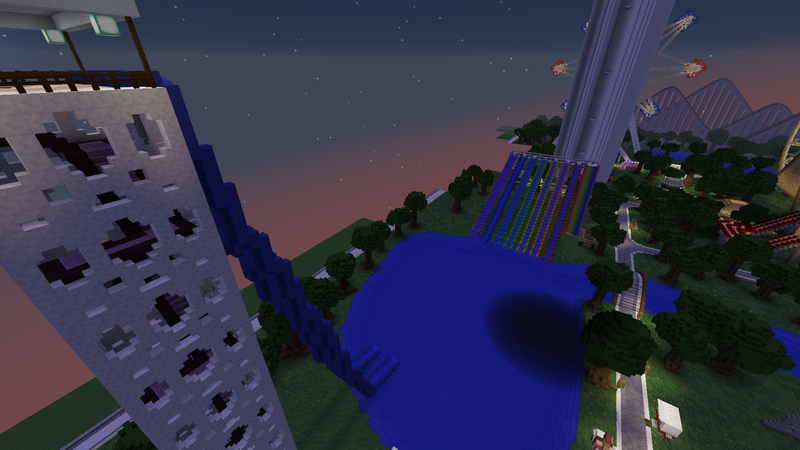 This is the water part of the spawn, and it has waterslides that are fun to ride! There are way more fun things to do at spawn, but I'll leave it to you guys to find out! 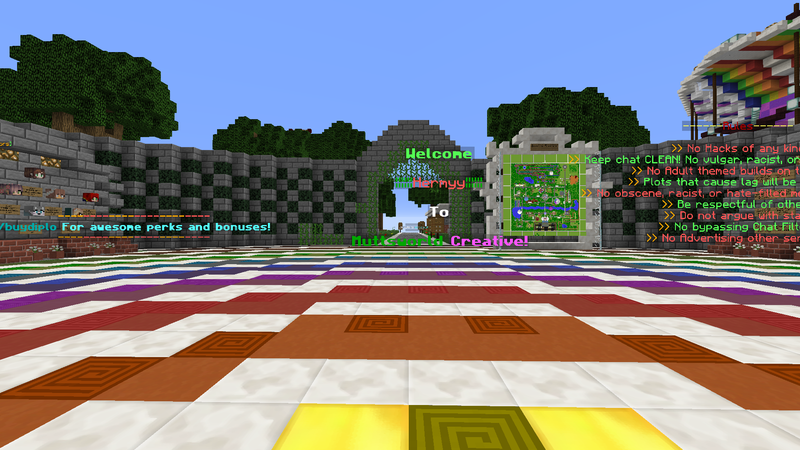 Join /creative to see the whole spawn and ride fun rides! Hey. I can't get on Muttsworld because mc is not letting me on 1.12! 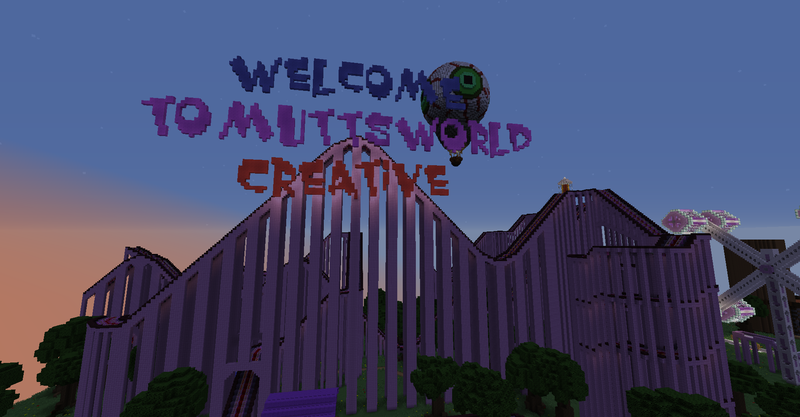 → MuttsWorld: New spawn on Creative!